Turkish President Tayyip Erdogan makes a speech during the opening ceremony of Eurasia Tunnel in Istanbul, Turkey, December 20, 2016. ANKARA/ISTANBUL - Six Turkish banks face billions of dollars of fines from U.S. authorities over alleged violations of sanctions with Iran, the Haberturk newspaper reported on Saturday, citing senior banking sources. The report could not be verified by Reuters. Two senior Turkish economy officials told Reuters that Turkey has not received any notice from the United States about such penalties, adding that U.S. regulators would normally inform the finance ministry’s financial crimes investigation board. Turkish authorities are expected to issue a statement to issue the address the issue soon, the senior economy officials said. 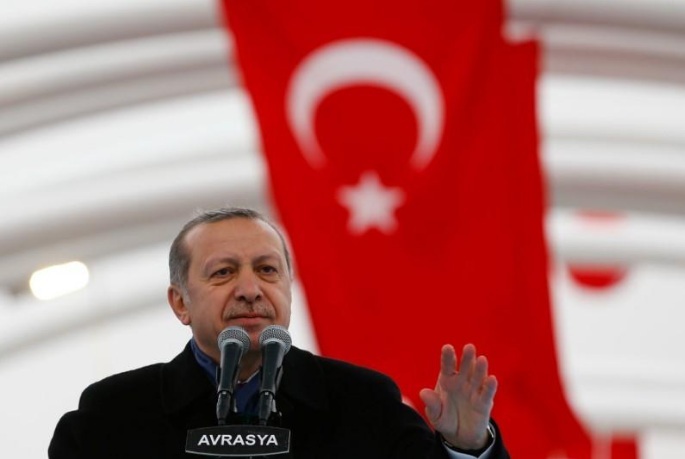 The report comes as relations between Washington and Ankara have been strained by a series of diplomatic rows, prompting both countries to cut back issuing visas to each other’s citizens. Haberturk did not name the six banks potentially facing the fines. One bank will face a penalty in excess of $5 billion, while the rest of the fines will be lower, it said. U.S. officials will notify the banks of their penalties in the coming days and the banks are likely to be able to negotiate down the fines, Haberturk said. U.S. authorities have hit global banks with billions of dollars in fines over violations of sanctions with Iran and other countries in recent years. U.S. prosecutors last month charged a former Turkish economy minister and the ex-head of a state-owned bank with conspiring to violate Iran sanctions by illegally moving hundreds of millions of dollars through the U.S. financial system on Tehran’s behalf. President Tayyip Erdogan has dismissed the charges as politically motivated, and tantamount to an attack on the Turkish Republic. The charges stem from the case against Reza Zarrab, a wealthy Turkish-Iranian gold trader who was arrested in the United States over sanctions evasion last year. Erdogan has said U.S. authorities had “ulterior motives” in charging Zarrab, who has pleaded not guilty. Six Turkish banks face billions of dollars of fines from U.S. authorities over alleged violations of sanctions with Iran, the Haberturk newspaper reported on Saturday, citing senior banking sources.